I think I’ve seen this picture for the first time in the nineties, maybe around the time Access all areas from Lynn Goldsmith was published. 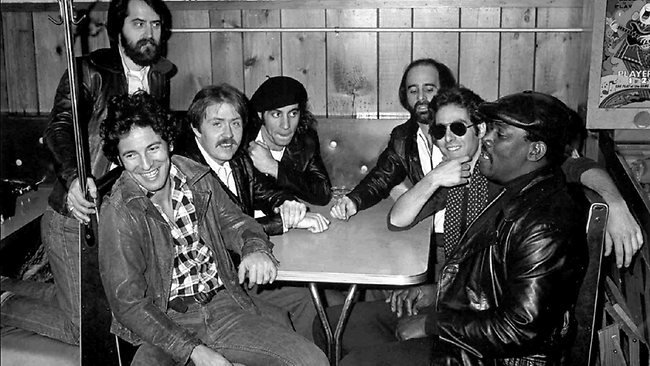 It’s from Stefanko, and it’s one of those pictures, like the ones miss Goldsmith’s took, I look at it and I think this, THIS was what they were, this is the myth itself, Bruce Springsteen and E Street Band. This is THE Band, seven men on a rock’n’roll mission, and no-one ever after that, that’s the reason why it took me so long to even accept Nils, go figure, for years and years he was the “new” guitarist, and don’t let me start with the last line up, choirs, bells, castanets, tambourines, piffaros and jake clemons. I respect the new years and the new artists on stage, even love them, I understand that changes were inevitables, but I learned to love them on other rock’n’roll standards, and if you grew up with a Cain raised from an Adam, and with the Clarence’ side onstage opposite to Stevie’ side, you can’t forget. Life is abut going forward, not back, and that’s it: but we don’t forget. 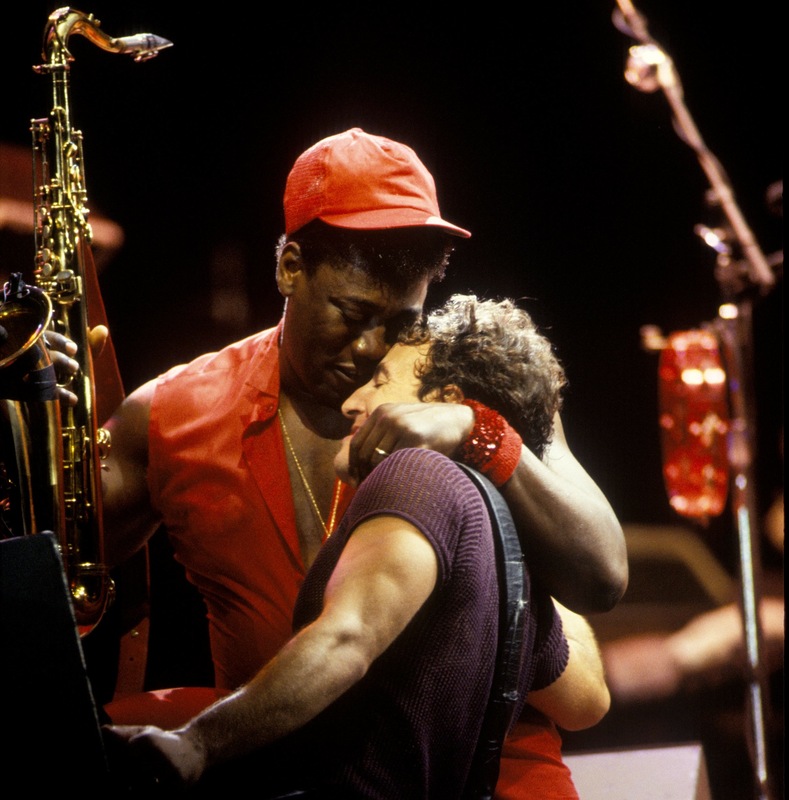 The picture that will always be Bruce and the E Street is this one, or one of those around the 1978 era, years in which they went out playing onstage so charged they felt they could kill the public to the sound of drums and guitars, and not just one night, every night, all night. That was when the legend took form, concerts played to conquer the world with guitar blows, with no party time, no politics, no girls onstage, no entertainment debate, no useless global discussion on the set list. Because that’s what the people wanted, not just the band onstage: maximum rock’n’roll power shooted directly into your veins, every night you wanted, all night long. 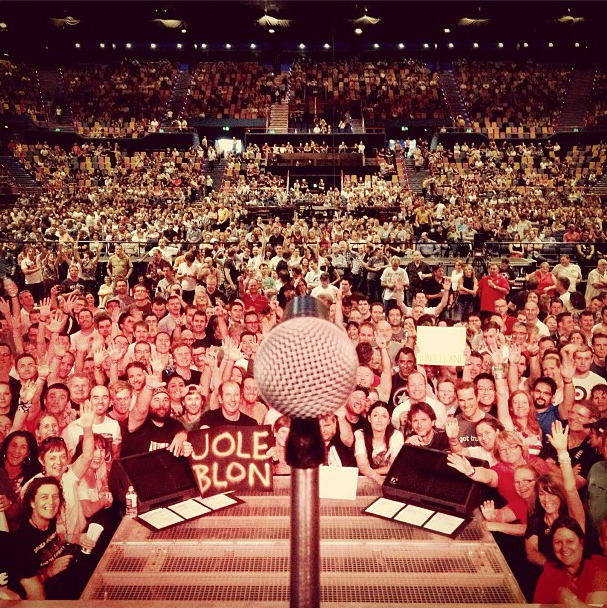 That’s why this picture is Bruce and the E Street Band, and will always be, and no-one other, ever.